Adani Australia has received a go ahead from Minister for the Environment Melissa Price for the groundwater management plans at its Carmichael coal mine and rail infrastructure project in the Galilee Basin, Queensland. Adani Australia has responded to environmental concerns regarding its Carmichael thermal coal mine project in the Galilee Basin in Queensland. A private member’s bill introduced by the Greens proposing to ban coal mining in the Galilee Basin region of Queensland has drawn the ire of coal company Adani. Adani could wait up to two years to receive two environmental clearances for its Carmichael coal operations in Queensland, according to a Queensland Government official. Adani has labelled a draft report that recommends against the Carmichael coal mine and rail project in Queensland being developed because of its management plan for the rare black-throated finch bird as “false and inaccurate”. Adani has revealed that 14,498 job applications were received for the Carmichael coal mine and rail project in Queensland by the end of December. Western Australia saw the highest rise in mining job vacancies in 2018 among Australia’s states and territories, according to a report from DFP Resources. 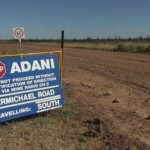 Adani has launched roadworks for access to the Carmichael coal project in Queensland despite delays securing a key environmental approval from the state government. The QRC and CFMEU have joined forces to criticise an Australian Greens Party proposal to ban thermal coal mining in the Galilee Basin, Queensland. Adani has accelerated its search for employees to support the Carmichael mine and rail project in Queensland following the announcement that the development is now funded. Adani Group’s move to self-fund development of the Carmichael mine and rail in Queensland is set to deliver on the company’s promise to create jobs and business opportunities in the state. Adani has submitted a conceptual operating plan to initiate the connection of its planned narrow gauge rail line to the Carmichael coal project in Queensland. India’s Adani has reportedly completed financing of the Carmichael coal mine and is close to securing funds for the rail component of the project. 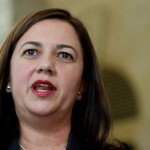 Queensland Premier Annastacia Palaszczuk, who last year vetoed the approval of a $1 billion Northern Australia Infrastructure Facility (NAIF) loan for a rail line in support of Adani’s Carmichael coal mine, has said that mining projects in the Galilee Basin are to be considered by State Government on merit. The Queensland Government has reinforced that it will not provide funds to Adani for the development of the Carmichael coal mine and infrastructure. American engineering firm AECOM has announced it is no longer involved in the creation of a $2.2 billion rail link for Adani’s Carmichael coal mine project in the Galilee Basin, Queensland. Queensland Mayor Anne Baker has called for “reason and sensibility” regarding the current debate surrounding Adani’s contentious Carmichael coal project in the Galilee Basin. An attempt to stop Adani Australia from registering an Indigenous land use agreement (ILUA) for its Carmichael coal development in Queensland’s Galilee Basin has been rejected in Federal Court. Rail operator Aurizon will withdraw an application to the Northern Australia Infrastructure Facility (NAIF) for funding to assist with a rail development in the Galilee Basin in Queensland.